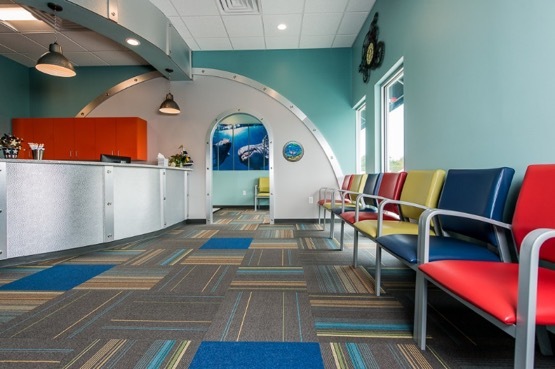 integral cove base gives you a truly seamless floor. A year later they are still really happy with their new kitchen floor, its durability and ease of maintenance. 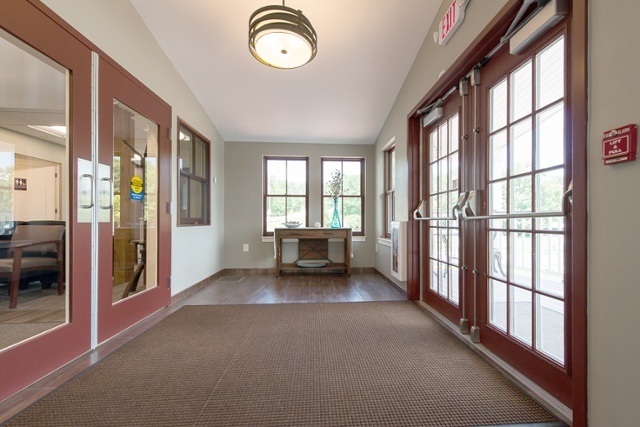 Challenge: Needed a product that would last more than a few years, allowed for a quick turnaround time on install, and could be installed at lower temperatures as it was winter in central Maine. Solution: Cryl-A-Flex, a Methyl Methacrylate (MMA) system offered by Dur-A-Flex. 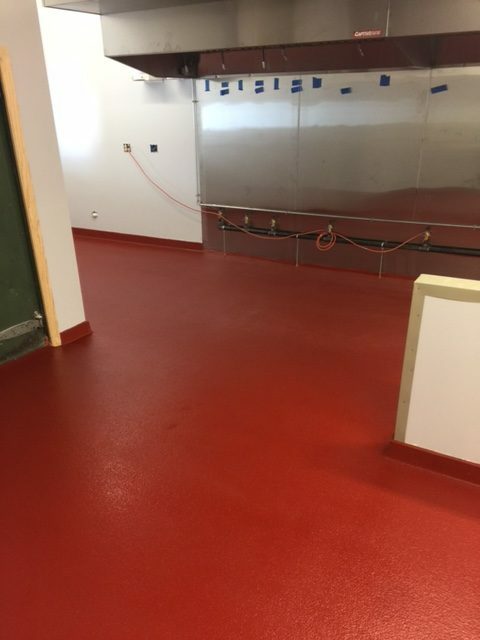 As a popular restaurant and lodging area, offering waterfront views, it was important we help find the right product to give them a lasting floor finish for their restaurants kitchen, and complete installation during their remodel schedule last winter. 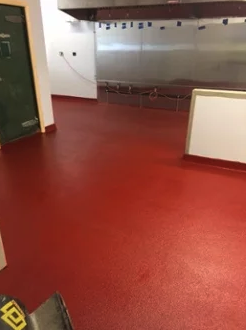 They came to us knowing that they were interested in a resinous system, as the linoleum they had installed previously just wasn’t holding up the traffic and conditions that are normal for a commercial kitchen setting. 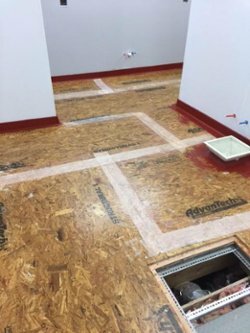 With a recoat time of as little as an hour, and the ability to cure at a temperature as low as 0°F (and be installed at a temperature as low as -20°F) it was the best system for the job at hand. As with any of the resinous products there are a range of finish options. 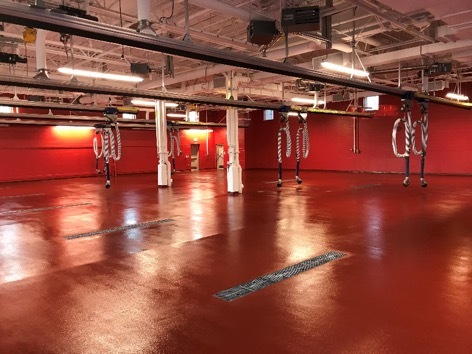 In this case they opted for the standard “Tile Red” color.